The precise definition has never been given. 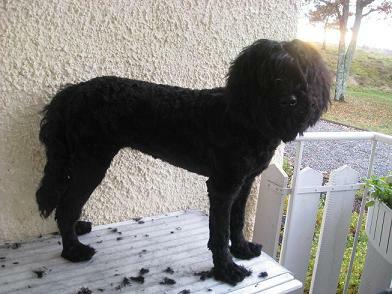 Jean Claude Hermans attributed and had validated by SCC/FCI, a " Diminutive Poodle" cut taken from historical documents referring to Buffon in 1750 at the time when royalty hunted with miniature poodle type dogs. The Barbet as we know it from the 1891 standard didn't exist then. 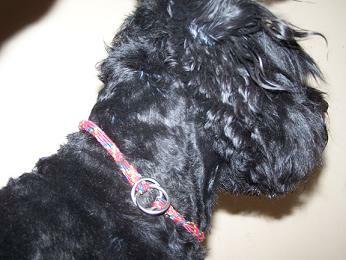 That cut was never a Barbet "standard" trim, since the writing of said standard in 1891.
granted. 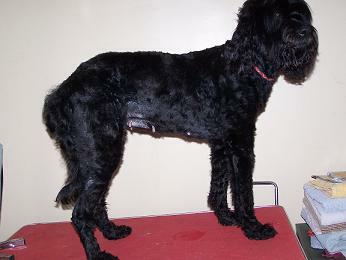 Those are usually kept short all over their body end even have short coat on the ears, regardless of whether they work or not.They arbour a Portuguese Water Dog cut as the one below. 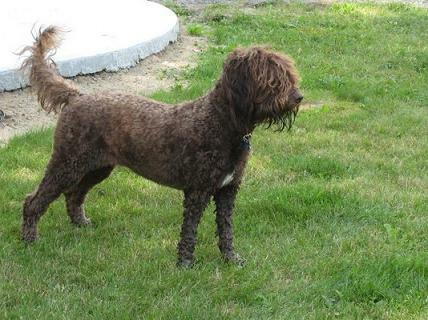 It is a shame to make a Barbet look like another breed, when the Barbet does have an identity. 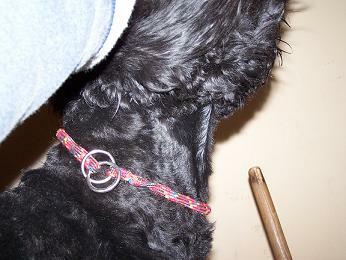 I would refer you to the websites of 2 friends who work with their dogs. 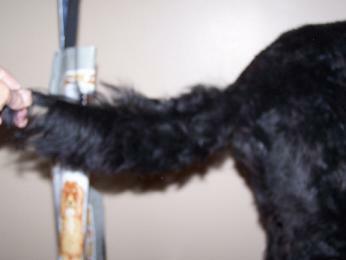 The trims below are not "standard" cuts but they do the job and don't make the Barbet look like a poodle in the 1850's. 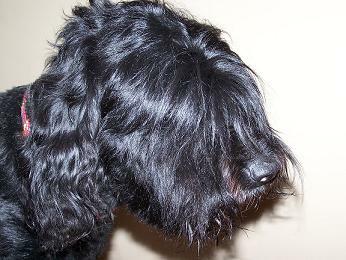 The coat over the eyes is trimmed so the can see, and not just scent their way around. 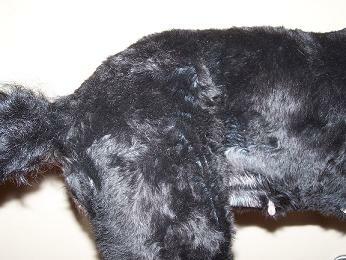 Can you visualize the Mahler Barbet in a Jean Claude Hermans "poodle working cut"? 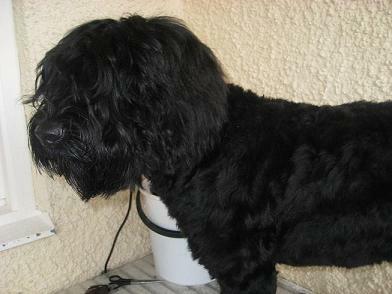 Nor, last but not least is the Barbet and overgroomed poofed out Grand Bichon who stands on a table to be shown...He is a rustic, country dog.